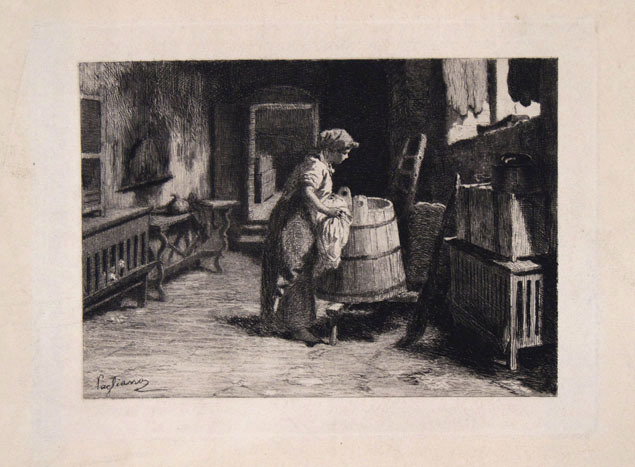 Etching, before 1882. Mezzetti 380. Signed Pagliano in the plate. 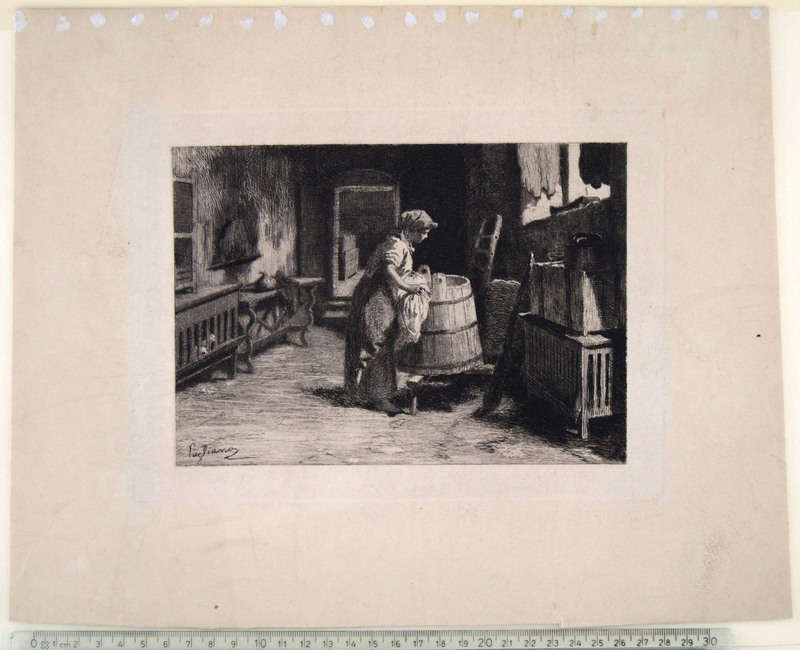 Very good impression, on wove paper, with wide margins partly folded on the back; minor defects in the margins, generally in very good condition. To the platemark 173 x 237 mm.